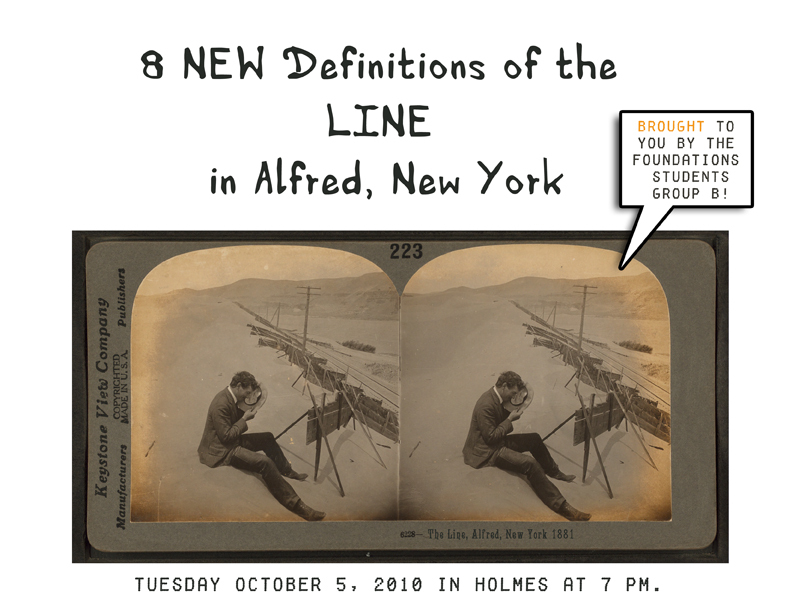 8 Definitions of the Line! Wondering where and what is the LINE? It’s real and it’s in Alfred! Join us for an evening of videos, performance, and presentations by Art Freshmen Group B, from Profs. Illuminato and Hunter’s STUDIO Research course. This entry was posted in Fall 2010, Happenings on October 4, 2010 by ruralscape.